If you’re trying to impress someone or if you’re just trying to keep up with the Jones, you’ll need to find out how to set the table properly before inviting them around for a spot of dinner. There’s nothing worse than forgetting your etiquette or making a faux pas with your dinning arrangements as some of the hours spent preparing the food is wasted by the few minutes it takes to make the mistake of setting out the table incorrectly. There are some basis table settings that are worth adopting no matter what the occasion. These include the following: always place the dinner plate in the centre of the place setting as everything else is placed around it. 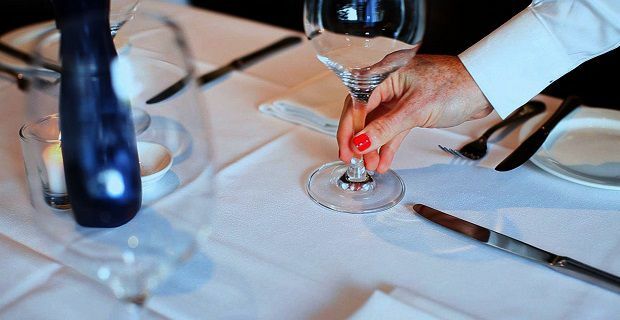 You should then put the cutlery around the plate in the order in which it will be used making sure that the fork is to the left of the plate. The knife and spoon are placed on the right. The knife’s sharp edge is pointed towards the plate and to the right of the knife goes the spoon. Your guest’s water glass goes above the knife. The napkins should be placed under the forks or on the plates if you’re trying to remain a little informal. If you’re guests are coming for lunch, you might want to adopt a more informal approach. In this case, you’ll need to observe the following. If salad is being serves, the salad fork goes on the left of the dinner fork. Obviously, get rid of the salad fork if there’s no salad. If you’re serving soup, set the bowl onto a plate and place a soup spoon to the right. Salad plates, or plates used for bread and butter are placed on the left of the forks. Put the butter plate above the forks and leave the butter knife across the plate. Cups and saucers for tea got above the spoons and their handles should face the right. Wine or water glasses go to the left of the tea cup.